Anti-Defamation League condemns Republican presidential candidate who called for patrols of Muslim neighborhoods. 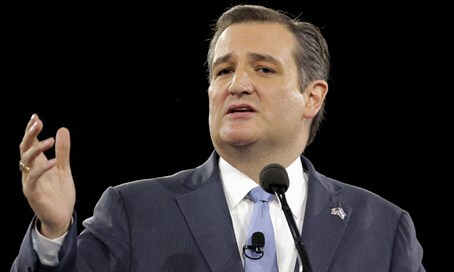 The Anti-Defamation League (ADL) on Tuesday condemned Republican presidential candidate Ted Cruz, after the Texas Senator called for new powers for law enforcement to patrol “Muslim neighborhoods”. His spokesperson, Alice Stewart, later clarified that the statement meant there should be a strong presence of law enforcement in neighborhoods with significant Muslim populations. “As we saw in Brussels today, violent terrorism is a legitimate concern for the home front. But demonizing all Muslims is a misguided and counterproductive response to the terrorist threat posed by those motivated by a radical interpretation of Islam. It is an irrational approach that harkens back to the fear and bigotry that led to a dark and tragic chapter in American history – the relocation of more than 100,000 Japanese-Americans to internment camps during the Second World War simply because of their ethnicity,” Greenblatt wrote in a statement. “The overwhelming majority of Muslims in America are law-abiding people who are as outraged by terrorism and bigotry as Americans of every other faith. Sweeping generalizations about them can serve only to foment discrimination and hate crimes against innocent, devoted Americans. Furthermore, our law enforcement agencies need the cooperation of Muslim communities and community leaders to combat and deter crimes, including violent extremism,” he added. “Ordering special patrols of Muslim neighborhoods will almost certainly create an adversarial relationship between law enforcement and the communities they have sworn to protect, making those communities more vulnerable, more frightened, and often less willing to help. The approach is contrary to the principles of individual rights, equality, justice, and religious freedom on which this nation was founded,” wrote Greenblatt. Muslim leaders and organizations are also loudly opposing Cruz's comments. A spokesperson for the Council on American-Islamic Relations (CAIR), which is said to have Hamas links, said, "It's really beyond belief that you have one of the leading presidential candidates calling for law enforcement to target religious communities totally based on the fact that they are of a particular faith."